COX Automotive has gathered insight and data from across the industry to produce a ‘state of the market’ overview. A number of key findings are summarised below. Overall, stock volumes are similar to YoY, but it has taken slightly longer to sell vehicles in Q1 2018 compared to 2017 except for small and supermini, which remained the same. The adverse weather conditions experiences in March 2018 could be a factor in the YoY stock variances. Franchised dealers and supermarkets have been hit hardest, despite the slight dip in stock compared to the previous year. Supermarkets have more stock YoY, with franchises and independents’ stock remaining consistent. Days in stock is up for all models but overall the market remains stable. Smaller, lower value, vehicles have taken less time to sell than larger, more prestige ones YoY and month-on-month throughout Q1 2018. The market continues to remain strong, especially on the 3-year-old product up to60k miles and ready to retail stock. Conversion ratios have remained very strong throughout the quarter. Higher mileage and sub-standard vehicles are increasingly tougher to find buyers. Late plate and low mileage product are entering the market in higher volumes and are in good demand currently. 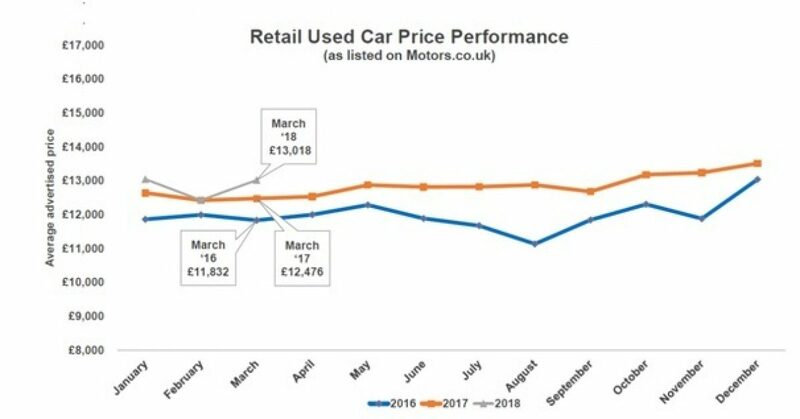 Scrappage schemes continue to starve the wholesale market of cheaper, higher mileage vehicles. Positive growth for part exchange volumes with double-digit growth in March 2018 at 17.5% compared to February 2018. COX Automotive expects used car sales to improve with consumers confused over updated tax rules for new vehicles. Dealers are urged to adjust stock volumes to match consumer demand for smaller used cars. Cash flow and digital integration are set to remain priorities for dealers in the year ahead. Notice of Termination of Employment: When is it effective?